Why not just list it with a Realtor? 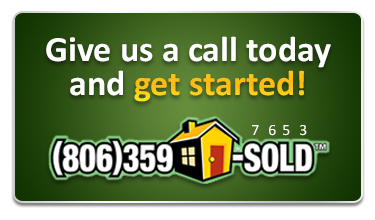 Why would you ever consider selling your house to a real estate investor like us? That is a really good question! If I needed to sell my house I think selling to an investor would not be the first thing that would come to mind. I would be thinking about calling a Real Estate agent or selling the house on my own. Here is the problem with both of those ideas. First off, let me say this… If your house is in good condition, in a good area, AND you don’t mind waiting for up to six months for it to sell then using a Real Estate agent may be a good idea. But if it doesn’t fit all three criteria then you may be wasting your time. If your house needs work, if it is a less than desirable neighborhood, or if you don’t want to wait for months to sell then you should consider working with me. When you list your house with a Realtor you will usually have to pay a 6% commission. You will also pay about 2% in your own closing costs plus, and this really stinks, you will need to be ready to pay at least 3% in buyers closing costs. If you are not willing to do this you will probably not sell your house. Most of the buyers do not have the money to pay closing costs. Buyers will also get the house inspected and give you a big list of repairs that need to be made. They will also negotiate the price down as much as possible. The national average for price reduction is around 5%. So if you add all of this up you soon realize that you can lose around 15% pretty easily. It is important to keep these things in mind. The bottom line is that if you use a Realtor you will have to pay some fees, closing costs, and commissions. This will greatly lower the amount you net from the sale of your home. And it may take several months to get it sold using a Realtor. If you compare my cash offer with what you actually walk away with if you use a Realtor you will see that my offers are pretty darn competitive. Plus, I can close in 3 days. If you use a Realtor it may take months or longer. Remember, it’s the bottom line that counts, not the contract price. So what about selling it For Sale By Owner. The short answer is that it is not a good idea. I list every house I sell with a Realtor. Realtors have all of the buyers. They also are able to list your house on the MLS which give it much more exposure than you could ever give it. Several years ago when the market was hot you could sell it on your own, but not in this current market. If you are able to pull it off you are still going to pay closing costs and make repairs just like you would if you used a Realtor. So even though the contract price may be higher than my cash price you will not come out that far ahead. And, just like I mentioned before, it may take six months for it to sell. Add up your house payments, insurance payments, and monthly taxes that you will have to continue making while your house sits on the market and deduct that from the amount that you will net. See what I mean? If you are trying to decide what to do just give us a call. We would be happy to make you an offer on your house and go over any ideas you might have.